Vern P. McAfee, 91, of Emerson, NE passed away Saturday, February 28, 2015 at Heritage of Emerson in Emerson, NE. Funeral services are pending with Munderloh – Smith Funeral Home in Emerson, NE. 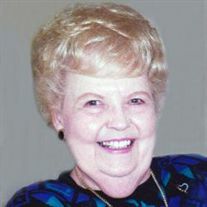 Amy Fahnestock, 86, of Grand Island, Nebraska passed away at CHI-St Francis in Grand Island on Thur, Feb 26th. Services to celebrate Amy’s life will be held at 11 a.m. on Monday March 2nd at Calvary Lutheran Church, 13th and Custer, Grand Island. Pastor Sheri Lodel will officiate. There will be no visitation as Amy chose to be cremated. The family requests in lieu of flowers memorials be given to either Calvary Lutheran Church or donor’s choice. All Faiths Funeral Home in Grand Island is serving the family. Mrs. Fahnestock was born on a farm south of Scribner, NE on January 23rd, 1929 to Martin and Martha (Nieman) Schroeder. Amy graduated from Scribner High in 1947. On February 10th, 1950 she married the love of her life, Robert Fahnestock, also of Scribner. They were blessed with 59 happy years of marriage. Son, Rob Jr and daughter, Jill, were borne out of this union. In the early 70’s, Bob and Amy became members of the Foster and Adoptive Parents Association of Nebraska. They provided a loving home for foster children Lucy, Virginia, Mark, Jolene, Margie, Vickie, Jeanna, LaRae, Justine, John, Michael, Roberta and Monica over the next 10 plus years. They were active supporters of foster and adoptive care through their retirement years. They were honored as Native Son and Daughter of the Year by their hometown of Scribner for their work on behalf of foster children. In their retirement years, both Bob and Amy worked as family supporters for the State of Nebraska; working with families in crisis. For 20 years, Bob and Amy were active in, and thoroughly enjoyed participating in, a Marriage Encounter Spiral Group. Amy loved playing games and cards with her family. She loved writing and won a contest, had a story published and a true story she wrote was used by her Veterinarian, both at a convention and later in a book he wrote. Amy loved dogs, cats, oil painting, collecting recipes, word game books, reading and dancing. Amy began painting again during her stay at Wedgewood, but left-handed. She was proud and pleased to sell her first painting at 85 years of age. Amy was preceded in death by her husband, Bob, in 2009; parents, sister Laura and two brothers-in-law. Amy is survived by her son Robert Jr, his wife Virginia Fahnestock, daughter Jill Fahnestock, grandson, Ben Fahnestock; all of Grand Island. She is also survived by 13 foster children, sister Arlene Carper of Oakland, brother-in-law and sister-in-law Ken and Lou Ann Henkins of Omaha, seven nieces and nephews, as well as many cousins and friends. 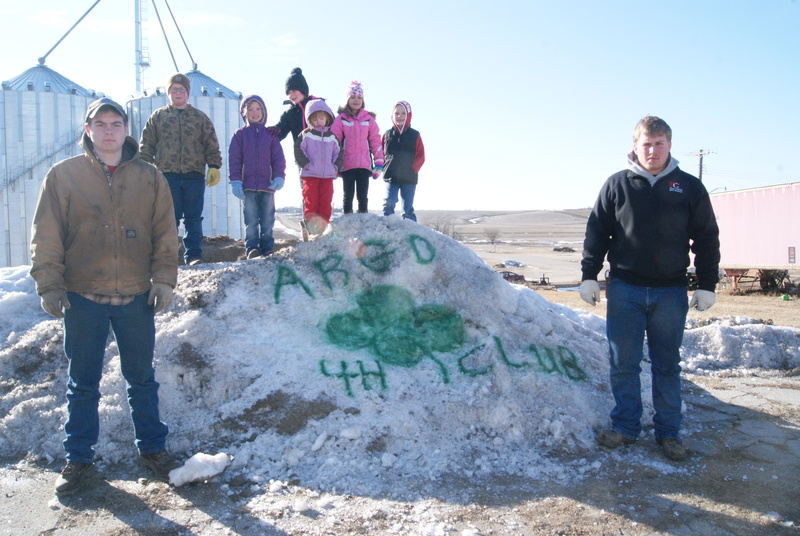 4-H pride during 4-H Week was spelled out in Craig on an icy snow pile by the Argo 4-H Club. Helping in the freezing cold were: Colton Smith, Ryan Smith, Madeline Pearson, Karley Eriksen, Greta Pearson, Brinley Eriksen, Parke Loftis and Justin Smith all of Craig.Photo Credit/Mary Loftis. 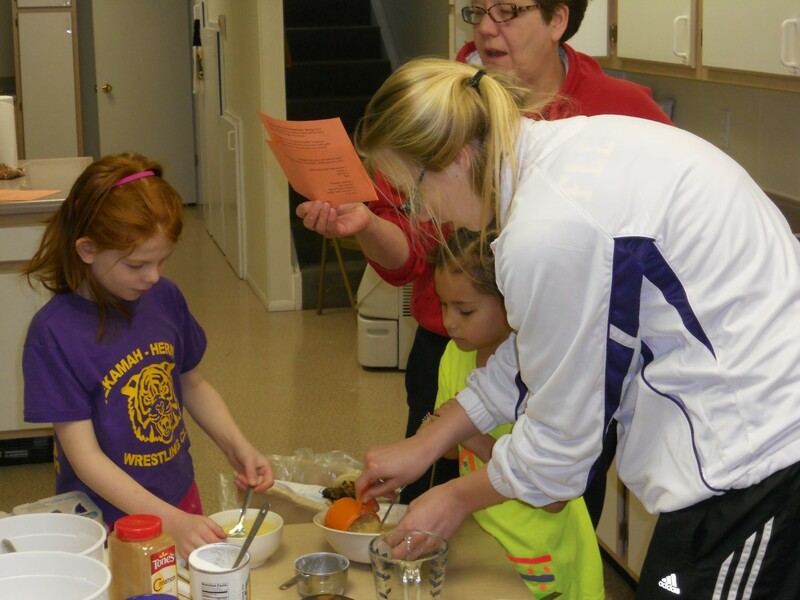 Izzy Connealy and Lily Willing get help making muffins from Jessica Fleischman while 4-H leader, Kim Jackson reads the recipe. Golden Living Center, the Methodist Church coffee hour and the Extension Office. Photo Credit/Mary Loftis. Northeast went into the sub-districts with a number two seed and a tough team to take out in round one. Bancroft-Rosalie despite their 10-13 record were going to be a tough draw. The game went into overtime with Northeast on top 51-48. After a tie at 10 in the first period, the Panthers gained a 22-17 lead at half. The third period was a defensive period with Northeast gaining back one point. Northeast took the lead in the fourth quarter and looked to have game won before misfortune hit in the closing seconds. “Our full court press got us back into the game and we had a three point lead with seconds to play. B-R was in a forced to foul situation, but the foul was not called,” stated Coach Haskell. The Panthers got as steal and a three and the game went into over time. During the game LDNE shot 39 free shots and made 23 for 59% accuracy. The Panthers had 22 tries and converted just 9 for 41%. The Cougar had three in double figures. Darcey Simonsen topped the team with 14 point,; Lexie Bacon had 12, and Brianne Haskell had 11. Vicki Gatzemeyer had a game-high 26 points for B-R.
Perennial basketball power Wynot took on the Cougars in the sub-districts finals. The (18-5) Blue Devils have been the State D-2 Champions for the last four years after taking runner-up in 2010. “They pressed us the whole game full court. It took us a while to adapt to it and we did get some easy points. You had to attack their press because if you ever picked the ball up they would trap you,” stated Coach Haskell. Wynot jumped to a 17-8 first quarter lead. Northeast cut the lead to five in the second quarter, but scores in the late period gave the Blue Devils a double digit lead at half. Wynot came out with an 8-0 to start the second half and it was now a twenty point game, Northeast was not able to mount any comeback until Wynot subbed out. LDNE lost 65-49. The Lady Cougars end their season with a school record tying fifteen wins. They lost nine times. The following week, and just in time to kick off St. Patrick’s Day celebrations, Irish poet Desmond Egan will return to entertain us with poetry and story. Egan lives in Newbridge, County Kildare, Ireland and visits the United States annually for a tour of readings and workshops. He appeared at the Neihardt Site in 2003, 2005, 2008, and 2014, and will be here once more on March 15 to share some of his new works. Egan is recognized as one of Ireland’s most distinguished poets, teaching literature and serving as poet-in-residence at University College in Dublin and creative director of the annual Gerard Manley Hopkins International Summer School. He certainly has universal appeal, with over twenty collections of poetry and prose translated into a more than a dozen languages; one example is an anti-apartheid poem which graces Desmond Tutu’s bedroom wall. His most recent publication September Dandelion is a dual-language (English/Chinese) collection of poems published in China this past March. His work has been the subject of two documentary films, he holds an honorary doctorate from Washburn University in Topeka, Kansas, and he continues to garner awards, such as the 2004 Macedonian Poetry Award. His poetry is often humorous but more likely to be observations on the painful realities of poverty and war, such as his poem “Peace.” Greatly influenced by American Jazz music, in the 1970s he used to come to New York to “starve about the place,” while absorbing the rhythms and nuances which color many of his works. Of his lighter pieces, among the most popular is his set of “Hokums,” an Irish blarney parody of Japanese Haiku poetry, a style he greatly admires for its simplicity and deep feeling. 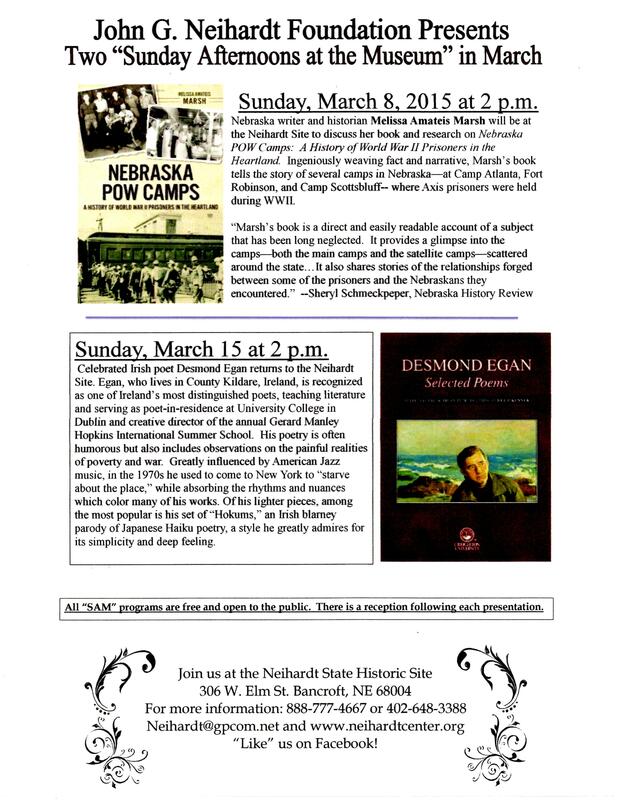 Each presentation will begin at 2:00 p.m. at the Neihardt State Historic Site. General programs are free and open to the public with a reception following. The John G. Neihardt State Historic site is located at 306 W. Elm Street in Bancroft, Nebraska. 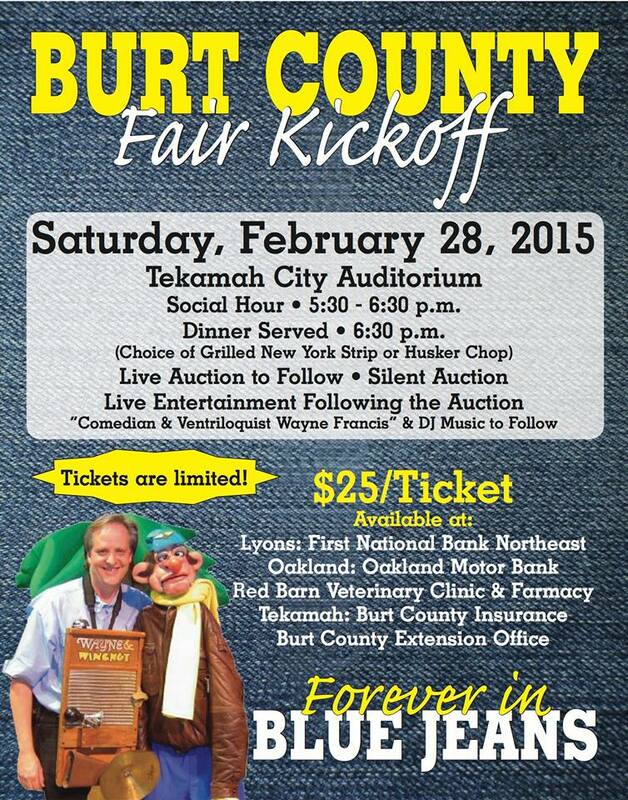 For information call 1-888-777-4667 or 402/648-3388 or e-mail at neihardt@gpcom.net. Visit our website at www.neihardtcenter.org and Like us on Facebook.